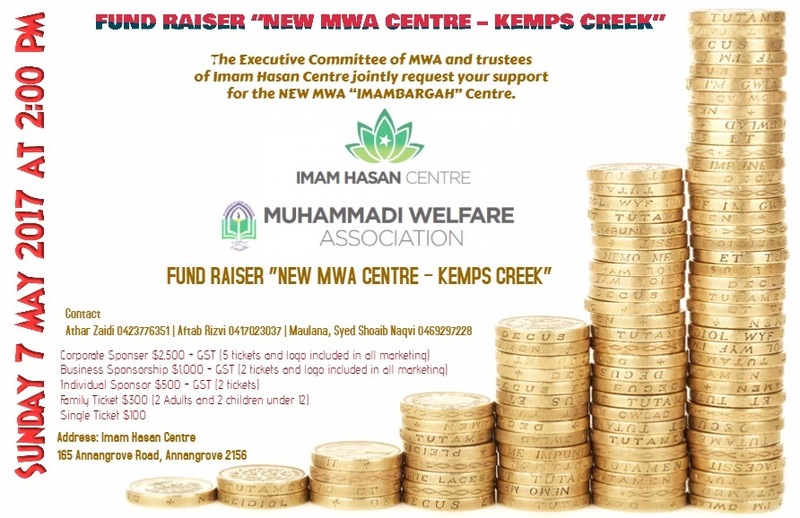 MWA Management Committee would like to inform you that a date has been fixed for the Fund-Raising Lunch organised by Imam Hasan Centre to raise much needed funds for the new MWA Imam Bargah project. This programme will start at 2:00 p.m. after Namaz-e- Zuhrain, on Sunday 7th May 2017 at Imam Hasan Centre, 165 Annangrove Road, Annangrove Sydney NSW. The tickets for this event are now available for you to purchase and make donations for the construction of your new Imam Bargah, which is in full swing. The president has been regularly updating all Community members on the progress of our new Imam Bargah. We feel honored to have a very famous poet from Pakistan Janab Naseer Turabi Sahib who will recite Maqabat in this Fund-Raising event. Janab Naseer Turabi Sahib is son of great Allama Janab Rasheed Turabi Sahib. We will be auctioning many items of interest, including some jewellery that was donated by our respected ladies during last Muharram. As you are aware that this project is the biggest ever in MWA history for many year to come and will serve as the first step for many more exciting developments for our Community in future. A Community Project of this size needs much greater Community involvement and financial support and Alhamdolillah, so far, we have seen this support from every and each Community Member. Insha Allah, like before, we feel confident that our Community will keep the tradition of exceeding our target. So, let us be united in celebrating our past successes and look forward to a bright future for ourselves and our generations to come. These tickets are designed to suit all levels of our Respected Community Members. Please remember that it is a Fund-Raising exercise and should be treated in meaningful manner. For tickets or further information, please contact any EC Member, thank you. Thank you in advance for your dedication and financial support for your new Imam Bargah. It’s been almost four months since community started vertical construction of our new Imam Bargah. I am really happy to say that with every one’s great support and hard work of our teams of volunteers we are almost half way through to our project. To me it’s all about vision for the future. Today the direction we are going in was not started this year or few years back rather it was started when founders of MWA took their first step towards starting Azadari Hussain (AS) in Sydney. Community fully acknowledge the services of previous Management Committees who worked with dedications to bring MWA to the level of prosperity that we all are enjoying today. I request a salawat for every members who have served the community in the past and ask you to keep them in your prayers for their good health. For those who are in heaven with our Imams, please recite a surah Fateha. Now as we are in second half of the project which is technical and more challenging? This phase of construction will be more demanding in terms of time and money. In last few months we were having discussion on selling the current MWA building at Granville to fund our new project. We have had multiple meeting with different real estate agents to assess current MWA premises worth and best way forward to sell it. I am pleased to announce that we have short listed one agent to put Granville premises on sale via auction. Currently we are in process to prepare contract and other necessary documents to initiate open house inspection. We will secure delayed settlement in the contract so that defiantly benefit us for better price and to continue our programs in current premises until we move to new Imam Bargah. I am sure this will also attracts potential buyers from other communities to bid and delayed settlement will help them arrange their finances with ease. We are also in process of drafting contract for interest free loan from the blessed community members to fund the project until we close the sales for current MWA premises. Inshaallah we will approach you all for this loan in near future. Abbas Aly from Imam Hassan Centre have organized a fund raising lunch on 7th of May 2017 at IHC Annangrove to assist in our project. Abbas was always a great supporter for MWA just like his parents. Their love and support for MWA will never be forgotten. On behalf of MWA management once again I thank you for your continued support. Also I urge entire community to participate in this fund raising event and show their support to secure better future for your current and coming generations. To purchase tickets for this Fund Raising Lunch please contact any EC member. For broader community I encourage everyone to schedule regular support to following MWA building account. Once again this is your life time opportunity to contribute towards place in heaven. So please don’t hold back your support for this project. I am sure you will do what’s right. • Bricklaying to the roof completed. • Removal of form work from the first level lentil and major inside clean up to make room for interior work to start. 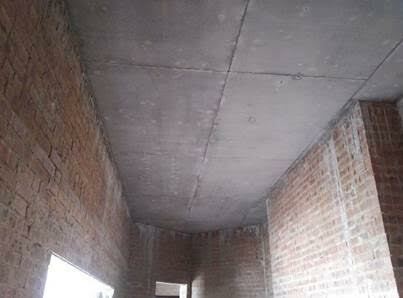 • Surrounding earth work started to level the ground and installation of the pits for all under ground work. 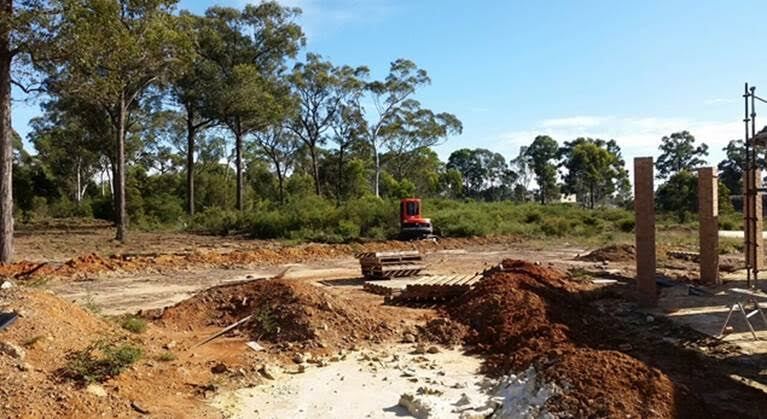 Rain water detention tank work started. • Detail analysis of the lift specifications and price comparison also order placement to Otis which is one of the largest and very well know company in Australia. • Finalizing the engineering drawing for roof traces. • Order placement for Daikin Air-conditioning. As the project is in more technical phase now which demand back ground knowledge and rigor to complete the given tasks best possible way. This particular volunteer was given a very important task in the beginning to find different elevator vendors in Australia and compare the specification / price also to advise the best option to suit our requirement. This young fellow was also blessed with a little angel named Daniya Fatima in March. So without delay it’s my pleasure to announce that Mohammad Raza got the crown to become Star Volunteer of the month for March 2017 for his efforts to identify, negotiate and ordering most suitable elevator to suit our needs. Congratulations Mohammad Raza for recognition award also for arrival of your daughter. Thank you for your continued support for this project. I am sure your support will continue in ongoing maintenance support for this elevator in the future. Stay tuned everyone for more updates in coming months. Once again thank you for your continued support and guidance. Moula App Sub Ko Khush Rakhay.